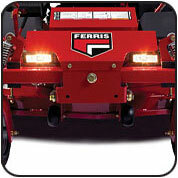 Ferris is pleased to announce a new collection system option for your customers. 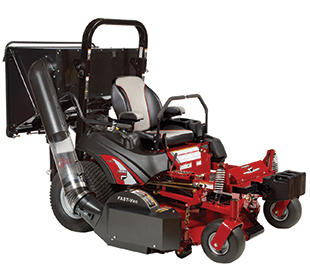 The TURBO-Pro™ Collection System makes collecting grass and leaves a breeze. The TURBO-Pro™ system vacuums the lawn for a clean finish. 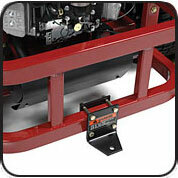 This commercial grade system is built with heavy-duty steel and a 1” heavy gauge bumper for protection. The TURBO-Pro™ system offers easy no-tool installation. 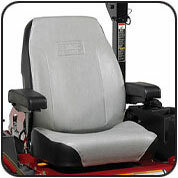 Deluxe high back seat with added lumbar support for increased comfort. • Unitized low profile steel frame provides durability and high operator visibility. 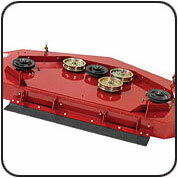 • Spring loaded latches quickly connect blower housing to discharge chute bracket. • Internal deflector directs debris uniformly to fill each collector bag. • Clear flexible hose allows you to see debris as it flows through. 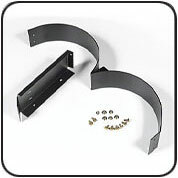 • Quick-disconnect pin release makes removing and attaching the catcher frame quicker and easier. 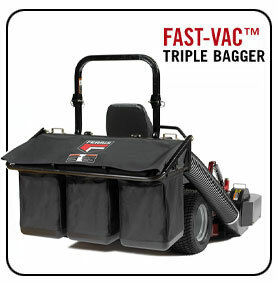 The Ferris FAST-Vac collection system, in double and triple bag models, are simple to install on the IS 500Z, IS 1500Z, IS 2000Z, IS 3100Z (61") and IS 4500Z (61") models. This system is built around a super tough, high-volume side panel air induction system that reduces clogging and produces 27% more air volume than conventional systems. The super rugged impeller, built using industrial grade bearings, generates a phenomenal 2200 CFM (Cubic Feet per Minute) airflow. 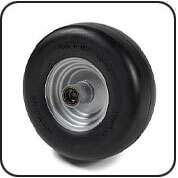 Its spindle-driven vertical turbo is narrower, allowing you to get in and out of tight places. NOW AVAILABLE - The EZ Dump collection system, for the triple bagger model, allows the operator to release clippings from their seat. The low profile of this system is better for visability when compared to competitive systems. The release handle folds out of the way for easy storage. 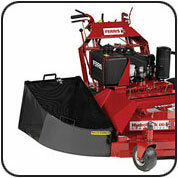 Save time and increase your productivity with this accessory. 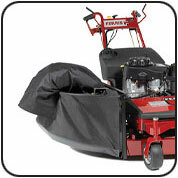 The EZ Dump collection bag is available in manual or electric operation.